Figure 1. Bearish Meeting Lines pattern. 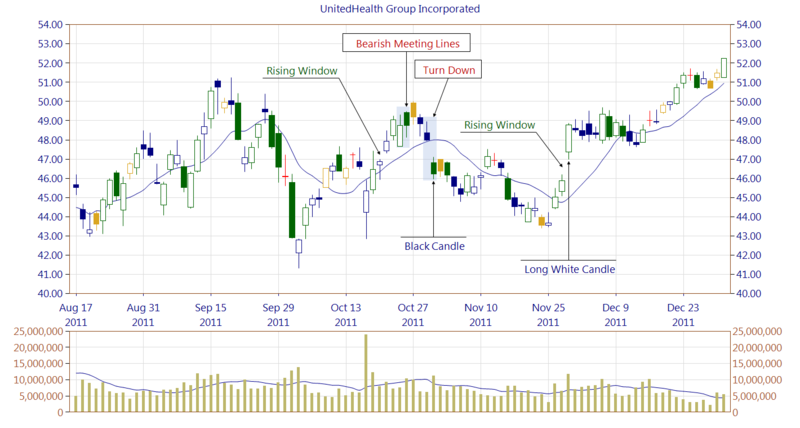 The Bearish Meeting Lines is a very rarely occurring candlestick pattern on the candlestick charts. Low frequency is a consequence of a very specific configuration of the candles: the first candle closes exactly on the level of the next candle. The first line of the pattern appears as a long line having a white body, whereas the second candle has a black body. The pattern is classified as a bearish reversal one. Hence, it needs to appear in an uptrend. It should be confirmed on the following candles that break out of the nearest support zone or a trendline. Figure 2. A Bearish Meeting Lines pattern is confirmed by a Turn Down pattern. A support zone, formed by a Rising Window, is broken in one step by the Turn Down. A gap formed by the Turn Down pattern acts as a resistance zone that was, by the way, broken few weeks later in November by another Rising Window. There the bulls demonstrated their strength by forming a Long White Candle, being the second line of the Rising Window pattern. The chart presents how the bulls and the bears fight for position exchanging price gaps, which indicate the short term market direction. The Bearish Meeting Lines, due to its low frequency, is of no big trading value. Simply there are too few occurrences to consider the pattern as a statistically meaningful. 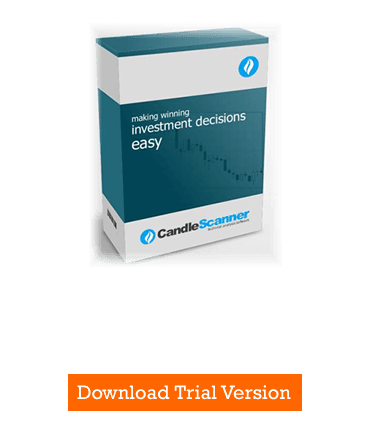 Below you can find some Bearish Meeting Lines pattern statistics calculated by CandleScanner software. To see more detailed statistics, for other markets and periodicity try our CandleScanner software. Prices start at only $10, and you can see more detailed statistics, for other markets and periodicity. Click here to find out more!